Our team can also provide 2D to 3D Conversion Services. Taking advantage of our CAD expertise, our highly skilled professionals perform their task in the effective manner to achieve the maximum client satisfaction. 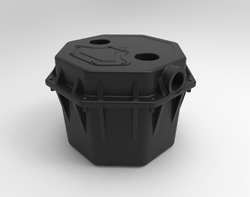 3D CAD models can be generated from the existing 2D drawings. 3D modeling assignments for various components of automotive parts, engines, pumps, motors, turbines, heavy engineering equipment, earth-moving equipment, consumer durable items etc. can be done. Code IT Softwares delivers a whole range of CAD services, 2D to 3D Conversions, 2D drafting, 3D modeling and animations etc. Our team of mechanical engineers offer almost 100% results on mechanical engineering design and drafting services. We serve industries like Automotive, Consumer Products, Industrial Equipment, Manufacturing, transportation and logistics and many more. 2D to 3D video conversion (also called 2D to stereo 3D conversion and stereo conversion) is the process of transforming 2D ("flat") film to 3D form, which in almost all cases is stereo, so it is the process of creating imagery for each eye from one 2D image. Your requirements, skillfully transformed into a customized 3D model. 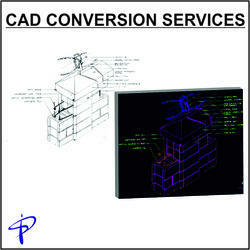 - Expert transformation of hand-drawn sketches, design concepts and 2D drawings into 3D models. - Fully adapted to any format of your choice. - Parametric and feature-based models accurately capture design intent.